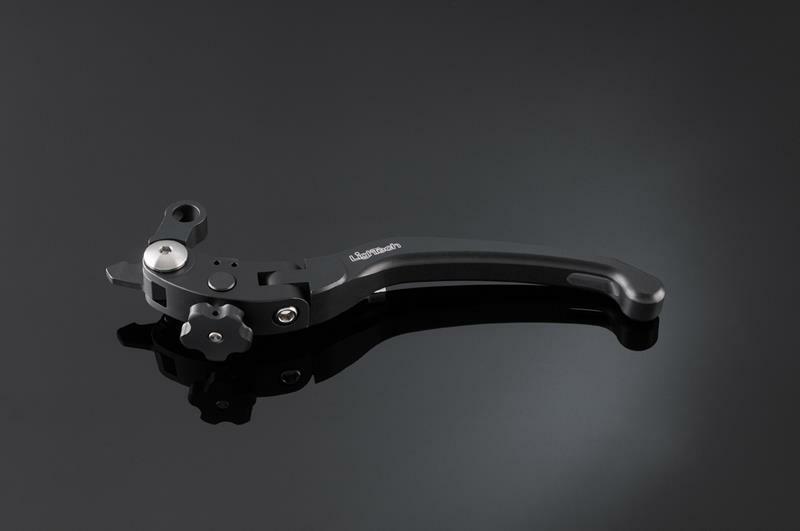 Italian firm Lightech, renowned for its top quality billet parts, has released a new folding lever and handlebar risers. The levers are made from machined magnesium and the joints on both the brake and clutch levers are made from hard-wearing, lightweight Ergal aluminium. There's a fine-tuning option on both the brake and clutch lever, by way of a chunky adjuster (pictured) for adapting the lever for reach on the move. The average weight of both levers is approximately 35g and they only come in black. The most basic version starts at around £70, rising to the £125 mark.